Yamaha Racing Team’s (YRT) Glenn Allerton kicked off his 2016 season with an outstanding performance at the opening round of the Australian Superbike Championship (ASBK), held in conjunction with the World Superbike Championships (WSBK), at the iconic Phillip Island circuit, in Victoria. YRT’s last minute decision to contest the event paid immediate dividends with Allerton taking the perfect three wins from three starts, while team mates Wayne Maxwell secured third place for the round and Cru Halliday posted his best Phillip Island showing in some time. But the weekend was all about Allerton, as he emerged victorious after all three hard fought races that often had the top three riders separated by less than half a second. The first two races saw Allerton, Mike Jones and Maxwell separate themselves from the pack go bar to bar for both 10lap races. Each rider had an opportunity to secure the race win, but it was Allerton who wanted it the most and demanded the win. Race three saw Allerton and Maxwell joined by Troy Herfoss and again, the race was within three. Allerton wasn’t to be denied in a career defining weekend and took home the perfect 75 points and now leads the championship 18 points over Mike Jones. “It is pretty amazing to think that two weeks ago we weren’t even racing here or the ASBK and now I just won the round,” Allerton beams. “The late decision meant we never had any testing here but thankfully the team was able to pull together and get all three bikes where they needed to be and we put in a good YRT showing. “It is also rewarding to win races like that. I had to ride at my best for every lap of every race and earn those wins. Mike, Wayne and Troy were all riding well and it became a real fight out there but it was fun and the crowd certainly got to watch some great racing. “Thank you to everyone on the Yamaha Racing Team for their efforts to make this come together so quickly and having our R1’s in great shape and our team sponsors for their support,” Allerton ends. Wayne Maxwell kicked off his weekend in fine style taking the all-important pole position after setting the fastest lap in qualifying and was confident of a good showing in race conditions. In each and every race, Maxwell put up an almighty fight and was within a couple of bike lengths of winning every race. He ultimately finished with 3-3-3 results plus the one point earned from pole position to give him third for the round, just two points behind Mike Jones in second. “We were close every race but not close enough,” Maxwell laughs at the end of racing. “Glenn rode well this weekend and deserved his win so congratulations to him. It would have been nice to pinch a race win or two but it was a good start to the year and it’s always important to get a good result at the opening round of any championship. “There are a couple of things to work on before the next round but thank you to the team for what has been a busy couple weeks and we can look forward to the next round. Cru Halliday has long had a love / hate relationship with the iconic Phillip Island circuit but his riding over the weekend went along way to improving the friendship. A track that he has struggled to achieve his best results at, Halliday was determined to shake off the past and make the picturesque track and happier hunting ground. And for the opening two races, Halliday did exactly. He posted two impressive fourth places finished and within sight of the leaders in a strong return to form. Unfortunately, some of that good work was undone through no fault of his own when in race three a rider in front of him fell and Halliday was forced off the track and then fell as a result. He was unable to finish the race and the overall result doesn’t reflect the improvement in Halliday’s performance. “I was determined to do better here as I have struggled in the past,” Halliday explains. “It’s been a track that has always got the better of me and I’m not sure why so I came here with a really positive attitude and wanted to get off to a good start for the year. “The first two races were good and I felt that there was still some room for improvement so that is also positive. In the final race I just wanted to finish the weekend strongly and gain some good points but in the hustle and bustle of the opening lap, I had a rider go down in front of me and I had no option but to run off the track to avoid him. “Overall it was a better weekend here for me and I can take some confidence in those first two races,” Halliday concludes. As announced over the weekend, YRT will now focus on the ASBK championship for the 2016 season. Round two of the championship takes place at Wakefield Park, NSW on March 25-27. Yamaha Racing Team (YRT) has retained the services of Wayne Maxwell, Glenn Allerton and Cru Halliday to spearhead Yamaha’s Road Racing assault in 2016. YRT will continue to focus on racing the six round Australasian Superbike Championship, with the season opener taking place at Sydney Motorsport Park on March 11-12. With the 2015 season under their belts on board the potent Yamaha YZF-R1M, Maxwell, Allerton and Halliday will hit the opening round with plenty of confidence and a full head of steam with a bike that has already gone through its development processes in 2015. Maxwell, the 33 year old Victorian, is more determined than ever to reclaim the Australasian Superbike Championship after a gut wrenching one point loss in the 2015 championship chase that came down to the final race of the season. 2015 saw Maxwell take two round wins, dominating at the Winton round, a second and three thirds in a consistent year but that one point defeat has only fuelled the fire inside the former champ and with a bank of knowledge on the R1 and the 12 month relationship with the YRT crew, Maxwell will be a man on a mission in 2016. “I’m really looking forward to 2016 and the second year working with the Yamaha Racing team and the R1,” Maxwell said. “We came so close to winning the championship in 2015 and I know that everyone at YRT is determined to get the championship back in their hands. “We made some great progress with the R1 in 2015 and we also have a range of data on where the bike worked well and where we need to improve, so I feel we are well placed to make our strengths stronger and turn any weaknesses into positives. “The off season has gone well for me, the team have everything in place and the continuity in our program should make for a better season than 2015,” Maxwell ends. Like Maxwell, Glenn Allerton will also be gunning to win this year’s championship and add to his three ASBK championships in 2008, 2011 and 2014 that he already has to his name. The New South Welshmen came alive at the mid-point of last year’s championship, highlighted by an impressive performance at Queensland Raceway where he dominated proceedings all weekend. From that point on, Allerton was a treat to win every race he lined up for and thrust himself into championship contention that saw him finish the year in third place behind Troy Herfoss and team mate Maxwell. But with an extensive testing schedule planned during the year, Allerton feels he will be in a much better position to race for the championship in 2016. “We have a lot of testing coming up this year and the program for testing looks strong this year,” expressed Allerton. “This is important as we continue to learn and develop a new bike. We can build on what we picked up last year and with the starting package already at a high level, we should be in for a great season. 2016 will mark Cru Halliday’s fifth year with the Brisbane based Yamaha team and his third year in the premier superbike category. While he can never stop learning, Halliday is now an experienced competitor and he is determined to turn his undoubted potential into race winning results. Cru claimed sixth in the 2015 championship, a result his is desperate to improve, but more importantly, he broke through for his maiden win in the Superbike division at his home track at Sydney Motorsport Park and wants that winning feeling again. Halliday, who starts his 70th superbike race start in race one at the opening round of the FX-Superbike Championship also scored two more pole positions in 2015 so there is now questioning the speed of the Sydney based rider. Under the management of John Redding and motorcycle development of the experienced Kevin Marshall, the YRT riders and crew are poised for a great 2016 season on a very exciting race bike in the R1. In just its first year, YRT took the R1 to multiple pole positions and four round victories out of the six rounds contested in 2015. The Australasian Superbike Championship roars into life at Sydney Motorsport Park in March before concluding at the same venue with a day / night spectacular in December. 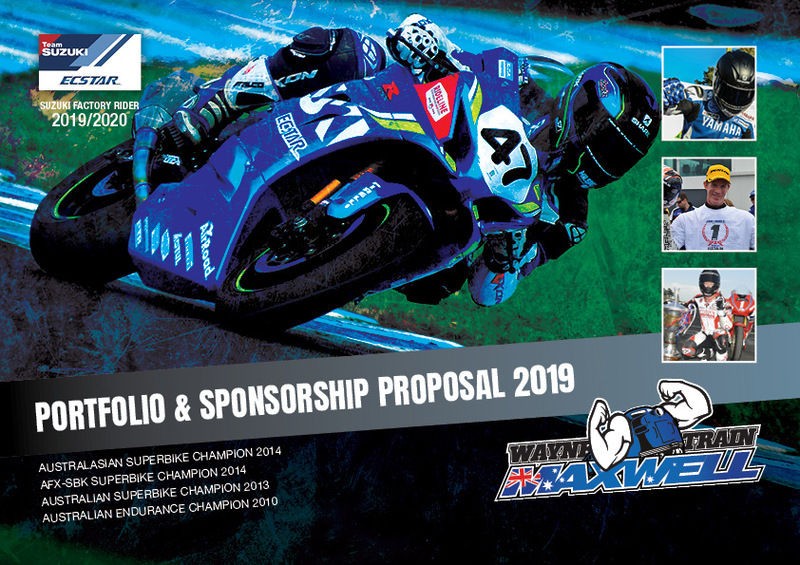 Includes MotoGP + WSBK + BSB, subject to change by the promoters or clubs. Please check dates with promoter, the above calendar is only a guide to events.